Is Your Property EV Ready? 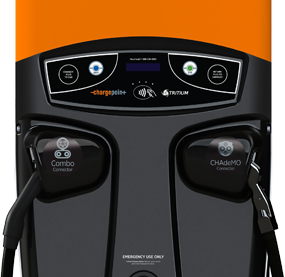 Do you want to receive periodic email updates from ChargePoint? 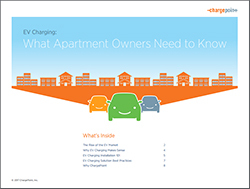 EV charging isn’t an “if” it’s a “when.”  Find out how to prepare for the future with an EV charging solution that delivers better ROI than most other resident amenities. Get the eBook now. ChargePoint brings electric vehicle (EV) charging to more people and places than ever before with the world's largest and most open EV charging network. 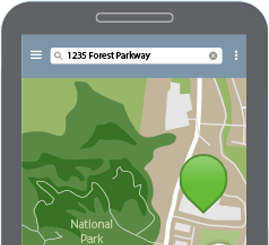 We design, build and support all of the technology that powers this network, from charging station hardware to energy management software to a mobile app. Our work transforms transportation and energy use by helping more people choose to drive electric.